0 Comments Published by KL Ocs Kid on at 12:06 PM. 0 Comments Published by KL Ocs Kid on at 6:10 PM. FOOTBALL is a sport littered with quirks - and Liverpool will discover that once more tomorrow when they contest a game worth so much more than three points. While a win against Manchester United would not be good enough to thrust the Reds back into the top four – they can, after all, only move their tally from 15 to 18 – there is no disputing it would disperse in a flash the storm clouds that have been gathering. It has, undoubtedly, been one of the most difficult periods Rafa Benitez has experienced as Liverpool manager but there is little doubt that even this most pragmatic individual realises just what defeating their biggest foes could do for his side. Impetus would be rediscovered, momentum would gather again and a feel-good factor that has gone missing after four successive defeats would be emphatically restored; you wouldn’t get the same sense of purpose, say, from beating Birmingham City. 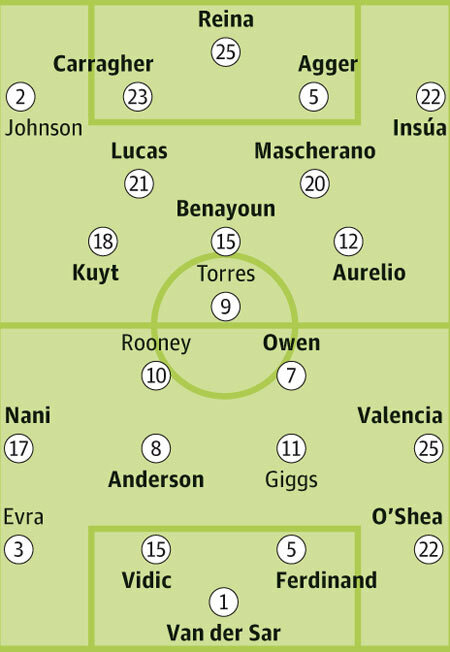 Just look what happened last season: United arrived in town with a new £30m striker to lead their line and were expected to dismantle a team that had been robbed of its two most important players, Steven Gerrard and Fernando Torres, in the days before. Yet Liverpool roared back from conceding an early goal to win 2-1 and took so much heart from that performance that their unbeaten start to the campaign lasted way into November. What’s more, it gave them the heart to turn around deficits against Manchester City and Wigan Athletic that had looked impossible, while they also won at Stamford Bridge and Goodison Park shortly after flattening their biggest rivals. So while Benitez - who will take charge of his 200th Premier League game as Liverpool manager on Sunday - knows a victory cannot take his team any higher than fifth, he is well aware that rewards in the long-term could be far greater. 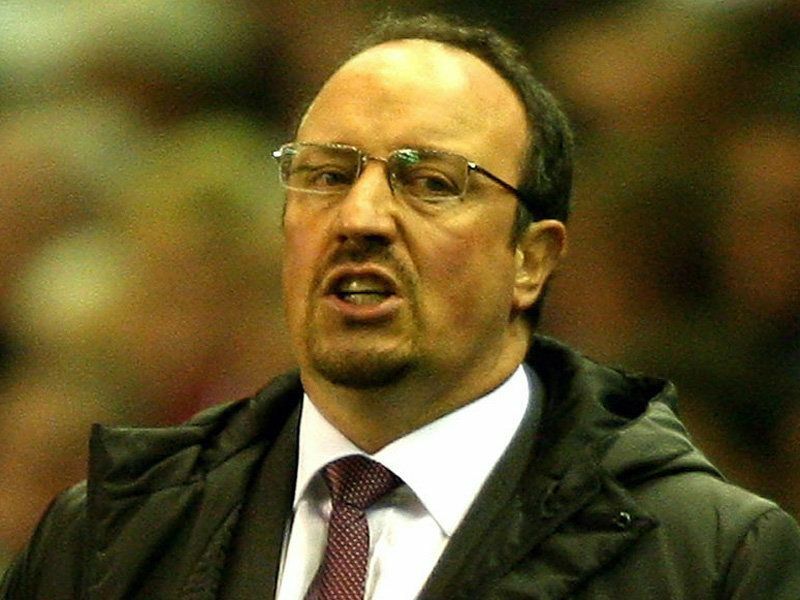 “The main thing we took from last year is that we can win any game,” said Benitez. “It was good to win away but we showed character last season to win without two key players; we showed character, quality and how important are the people we have behind the place. “It is really important because we can change everything. We know the gap will be 10 points if we lose - or four points if we win. Four points behind them without doing really well would be a fantastic position. If Benitez does happen to take three points off Alex Ferguson for a third game in succession, it would give him the second best tally of wins by a Liverpool manager (114) during their first 200 games. His record is better than Bill Shankly (106), currently equal to Bob Paisley’s and only places him behind Kenny Dalglish (120) in the all time list; Ferguson, for the record, managed just 87 victories in his opening double century. Records, however, have been the last thing on Benitez’s mind in the last few days. He’s been working away at Melwood, trying to find solutions as to why the wheels have come off in the past three weeks. But rather than moping around, Benitez has tried to find the happy medium between disciplinarian and motivator to cajole a response from his embattled squad; what he has seen in return has greatly impressed him. “I’m just thinking about how to change things,” said Benitez. “You cannot go to every press conference and keep talking about pressure, pressure, pressure. We have to have confidence in ourselves - and we are training well. “We were doing the same before Lyon. We would have been talking differently if we had taken the chances we had when it was 1-0. But experience tells you that you have to keep going and doing the things you have done in the past. Added the Anfield boss: “When the players are working hard, you cannot blame them for anything. We have had some meetings and we have analysed things. We know we are not doing well but we can see the reason why and the atmosphere is quite positive. Benitez is not a man who will let a situation get on top of him and nor is his central defender Daniel Agger; the Dane knows the Reds have been poor of late but says there is only one way to turn the tide. “We just have to carry on,” he pointed out. “We were not good enough against Lyon but we have to keep doing the same things. We have trained hard and have got to carry on. We have got to turn it around. * TOMORROW will be Rafa Benitez’s 200th league game in charge of Liverpool. He has tasted victory on 113 occasions and the only Reds manager in history with a better record over that period of matches is Kenny Dalglish (120). Bob Paisley also had 113 wins at the same stage, while Alex Ferguson won just 87 of his first 200 in charge at United. * LIVERPOOL did the double over United last season with a 2-1 home victory followed by a stunning 4-1 triumph at Old Trafford in March. It was the first time the Reds had beaten United twice in a league campaign since 2001/02. * THE Reds’ win over United at Anfield last season was the first time since 1966 they had come from behind to win a league game against their fierce rivals. * THERE has been only one goalless draw between the sides in the Premier League. That came at Anfield in September 2005. 0 Comments Published by KL Ocs Kid on at 6:07 PM. In football the word "crisis" is apt to roll too easily off the tongue. Portsmouth have had a difficult start this season and did not take a point from their first seven matches, but only when they were running out of money to pay the players' wages did they face a crisis. Liverpool are not in crisis, not yet anyway. It is just that they are experiencing so many problems coming from so many directions that they appear to be courting a crisis with the ardour of lovelorn suitors, complete with bouquets and boxes of Milk Tray. Off the field there is the matter of the debt that Liverpool's US owners ran up buying the club and are now trying to restructure. But it is events on the field that have been talking up the latest prognostications of gloom and doom and refuelling speculation about the future of Rafael Benítez as the Liverpool manager. Should Benítez's team lose at home to Manchester United tomorrow they will be 10 points behind the Premier League leaders. More pertinently, such a result would increase the doubts about Liverpool's ability to renew their membership of the Champions League by again finishing in the top four. Being relegated from Europe's richest tournament would cost the club almost as much as being relegated to the Championship. No parachute payments here. As it is, Liverpool are in danger of having their progress in the Champions League end before the knockout stage after losing 2-1 at home to Lyon on Tuesday, a performance that confirmed the feeble impression left by their 2-0 defeat at Fiorentina that was followed by further losses against Chelsea and Sunderland. The excuse that they were without Fernando Torres and lost Steven Gerrard again after 25 minutes forfeited any credibility it might have had when Chelsea, still missing the suspended Didier Drogba, cruised past Atlético Madrid 4‑0 on Wednesday night, Manchester United having seen off CSKA Moscow with a polished display on an artificial pitch and despite the absence of Wayne Rooney. In Benítez's five years at Anfield Liverpool have won one European Cup and reached the final of another. They have also won the FA Cup. But in the League, the winning of which used to be the club's raison d'être, Liverpool remain not-so-nearly men and on present evidence it could be argued that the depth of talent in Benítez's squad has never been so shallow. 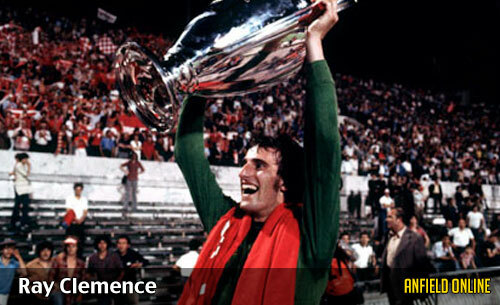 Compared to the ease with which Alex Ferguson's United team adapted to the plastic surface in the Luzhniki stadium, Liverpool could have been playing on broken glass against Lyon. What is important now is how Liverpool react to their worst run of defeats for 22 years. Before Tuesday they had not lost four games in succession since the spring of 1987, when Kenny Dalglish's side were beaten by Tottenham, Wimbledon and Norwich in the League and Arsenal in the final of the Littlewoods Cup. The run cost Liverpool the championship, in which they finished runners-up to Everton, but the following season, having signed John Barnes, Peter Beardsley and Ray Houghton from Watford, Newcastle and Oxford respectively, they regained the title while playing the best football seen from an English team up to that time. Liverpool used to get over problems of form and bad results by pretending they had never happened or at least not dwelling on them, such was the strength of the club's structure on and off the pitch. In the early 70s Bill Shankly's side went goalless for five matches, the last of them a 0-0 draw at Wolves. After the game reporters approached Shankly to find out what had gone wrong with his attack. Shanks went white and backed away. "We don't talk about these things," he protested. "We never talk about them." The hacks were left speechless as well as quoteless. By contrast Don Welsh, the manager at Anfield when Liverpool last lost five in a row, followed the boy scout code of smiling and whistling during all difficulties. The run occurred early in the 1953‑54 season that ended with Liverpool relegated after 50 years in the First Division. 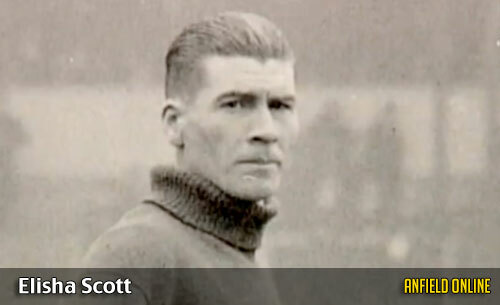 After a 3‑0 defeat at Arsenal had sent them down, Welsh breezed into the dressing room with words of comfort: "Never mind, lads, the reserves lost too." Some comfort. Strange nobody asked Benítez about the Liverpool's reserves after the Lyon game. Not that he would have had much to say on the matter. What reserves? 0 Comments Published by KL Ocs Kid on at 7:21 AM. 0 Comments Published by KL Ocs Kid on at 7:15 AM. 0 Comments Published by KL Ocs Kid on at 7:11 AM. This week’s panel: Mark Broomy is joined by TIA columnist Tetteh Otuteye, Craig Rimmer, Matthew Watson and Sam Wanjere. Mark: “The River Mersey sits turbulent, discordant and raucous for another week. Not since April 1987 have Liverpool suffered four successive defeats. We suffered our fourth Premier League defeat of the season at the Stadium of Light, a result that left Liverpool a distant eighth in the Premier League, seven points behind the leaders Manchester United. Matthew: “Beach ball or not, we were atrocious against the Black Cats on Saturday. We were totally out-muscled by a very resilient and organised side, who on another day, could have easily been two or three up by the hour mark. It was a nightmare, from start to finish. The three at the back did not work. We looked all over the place at times and failed to create any real clear cut chances until the last ten minutes. It was a shame that the game was decided by such a freak goal, but that can be no excuse for what was an awful performance. Sunderland well and truely deserved the three points. A vast improvement needed. Mark: “On Tuesday night, despite Martin Kellys impressive full debut at right back our defeat to Lyon left our hopes of Champions League progress on a knife edge. Yossi Benayoun’s 41st-minute opener was cancelled out by substitute Maxime Gonalons and an injury-time winner from Cesar Delgado. Sam: “To me, against Lyon, we had a much better game than the fare we’ve seen lately, and were in control for much of the match. Looking at stats from the Beeb, we had identical possession, identical shots (both on and off target, with six each! ), and one more corner (6:5). We fouled more though, 11 to seven, suggesting we were either put under more pressure or panicked more. This to me the Lyon encounter was our best game in a while, with our youngsters shining on the night. All of Lucas, Insua, N’gog and the precocious Kelly did us very proud. Though not entirely back to his offensive best, I still thought Agger was solid at the back and will find his shooting boots soon. I didn’t feel entirely deflated and thought if we can play that way against the Mancs we will have a chance. I express worry about our lengthening injury list but have optimism in our depth. 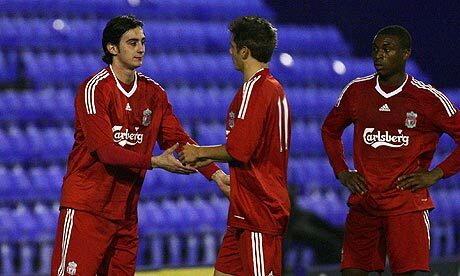 Our Reserve players, alongside fringe ones like Voronin, might still help us hold the fort pending the arrival of our core axis (Gerrard-Torres) while Aquilani enjoyed a 15 minute run-out for the reserves on Wednesday night during our 2-0 win over Sunderland at Prenton Park. We shouldn’t be hard on ourselves to be honest, and I have this gut feeling things are about to turn for a surprising finale to this season. Sam: “Is there a more maligned player on our team today? I feel that any “issue” with Lucas extends beyond “replacing Alonso”. The club’s going through a very difficult phase, with fans getting increasingly frustrated with the current state of play, and for whatever reasons its Lucas we’ve pinned our angst on. 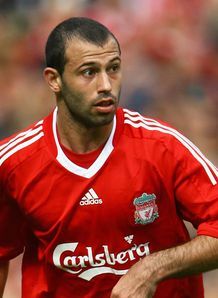 We love history at Anfield so I’ll remind our fans about a number of things; on March 14 2008 Lucas contributed to our win over Man U (away), ironically playing in Alonso’s place. On April 14 his goal almost gave us another come-from-behind win in the CL at Chelsea. Despite our loss at White Hart Lane, Lucas was solid in central midfield. He hardly put a foot wrong against Deberecen at Anfield, constantly disrupting their play and finding Reds with his passes. Tetteh: “Lucas has been pushed into the deep end this season and he has held his own. He’s gotten more physical, is better in possession, has made several crucial tackles and is growing with each match he completes for our team. He has showed tremendous mental strength to stay focused and maintain some self-belief despite a rough season last year where he was occasionally booed and sometimes unfairly singled out for blame in bad team performances. Matthew: “Before I start, I’d like to state that I am not one of the people who have consistently come on here and ‘slagged’ Lucas off, rain or shine. But the truth is he isn’t good enough. There has been a slight improvement from him this season, granted. He seems to be getting more stuck in and timing his tackles better, but still, he offers very little offensively. He still jerks responsibility for me. He never seems to look or command for the ball. He just seems to hide at times. Craig: “Whilst Lucas has undoubtedly improved this season and deserves credit for overcoming many of his doubters, I still feel that his game is perhaps too limited when paired with Javier Mascherano in midfield. I always felt that some of his critics were overly harsh on Lucas last season and that he was often used as a scapegoat when others equally performed poorly, although in fairness he did put in some poor performances last season. He is, of course, only young and playing regularly for Brazil at such an age must stand for something. 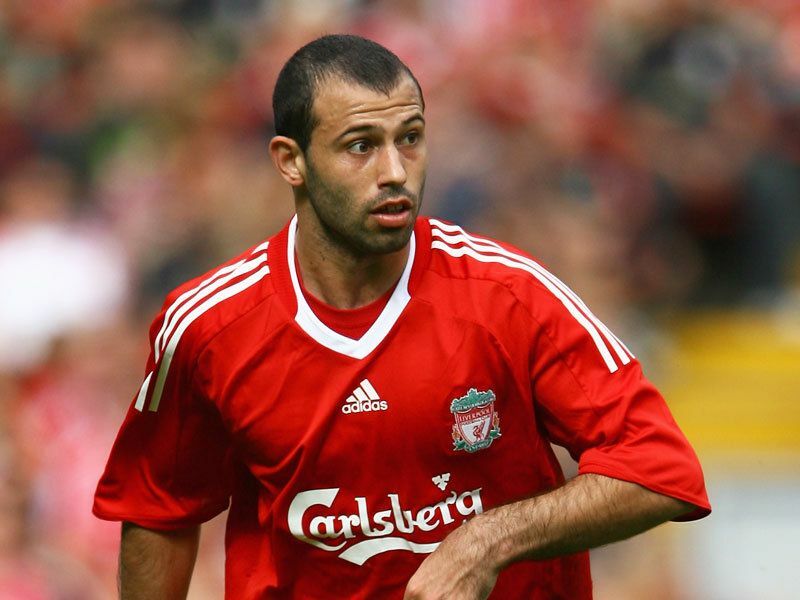 Sam: “He’s more like Mascherano, in fact near identical. 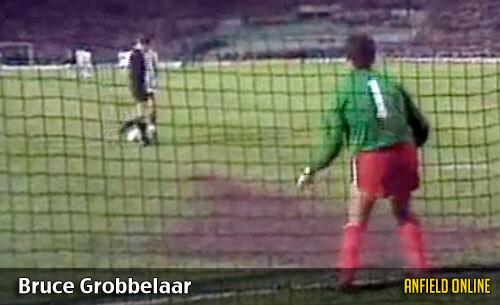 Same energy, prone to the odd bad tackle, but even then, more offensive. I feel that Lucas is best played alongside a different player, this season that player being Gerrard. 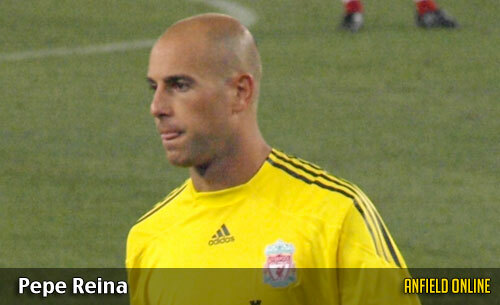 Gerrard will do more offensive work, leaving Leiva to clean up alongside him, and protect the defense behind. I don’t think Lucas-Masche is working – at least as of now. But then again, playing Gerrard and Lampard together has confounded all until Capello showed up! Craig: “I agree that Lucas is more suited to the ‘Mascherano’ role than the ‘Alonso’ role and the issue this season had been that pairing Mascherano and Lucas together has resulted in a lack of creativity and ability in possession from midfield. I don’t feel Lucas is creative enough to play this role and the recent defeat to Lyon was a prime example of this, with the Reds midfield lacking creativity and unable to gain an element of control over the game. Matthew: “His partnership with Mascherano is too defensive and lacks creativity and control. You are right when you say that he is more suited to a ‘Masch’ like role, but we don’t need, nor want two players doing that role and Mascherano is on a completely different level to Lucas anyway. We all know Mascherano’s role. He is the destroyer. His job is to offer cover to our defence and break up the oppositions play. Masch doesn’t offer an awful lot offensively, although this season he has improved in that sense with his passing and cross field balls that he has tried more often. I really do think that this has come on because of playing with Lucas. Maybe Masch feels he has to do this to make up for Lucas? For me, the person who plays alongside him needs to offer something offensively to make up for this and help link up with our forward players. With Alonso we had someone who made us tick. He was a player who would always keep the ball moving and offered something creatively with his passing ability. Sam: “Do we have the right manager at Anfield? To answer this, it would be instructive to look at what our team is like (overall). If Rafa’s such a bad manager, why (as I’ve asked lots of times before) do players like Torres, Reina, Kuyt and Gerrard keep playing for him? Why is it that every season end he is linked with the giants of soccer, the Real Madrids’ and Juves’? Our squad lacks depth, which is as clear as daylight to the sighted. We lack strong alternatives at right back, striking, our wings, and all in all, lack personnel we can interchange in our favored 4-2-3-1. Despite this, we keep overachieving – and again, all without having funds to buy the quality we need to go to the next level. Our current spirit reminds me of someone who’s made it in life having overcome inferiority complex earlier on. No matter what they end up achieving, there are moments they remember what they used to be and get deflated. We do act inferior at times to the rest of our competitors, esp. members of the Big Four. Our fans Jekyll and Hyde support doesn’t help either, abandoning the team (silence) when we’re down. This is an area we can definitely improve. Back to our manager, is he the right one? With what I’ve enumerated above, and plenty more, we’ve still been able to win a CL title, return to another final, win the European Super Cup and FA Cup, and push Man U all the way to the title last season. We’re yet to drop below fifth in the league (while consistently proving a handful in Europe), all without financial support from (non-existent) owners, and competing against cash-rich teams. I don’t see a better manager for us than Rafa. We will win the League, this year, the next or wherever. Our chief opponent isn’t from the Big Four, but from within us. Craig: “This is the eternal recurring question which comes up every season. Liverpool came so close to achieving that elusive 19th title last season and there is a real sense among many fans now, considering the recent desperate form, that last year may have been a major opportunity missed. 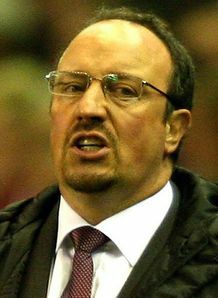 The debate which has been raging this week has concerned Rafa – whether his time has come or whether he should continue. I don’t feel this is even really up for debate at the moment. True this is a crucial time for Benitez to prove himself and is arguably the toughest period of his tenure in charge at Anfield. But Liverpool are not really in a position to be sacking established managers, with an apparent lack of money, resources and adequate replacements. Getting rid of Benitez would certainly result in us taking a step back further in the short-term and it was only a matter of months ago that everyone was lauding the manager for his achievements. The club needs stability so ultimately the man in charge has to be considered the right man for the job. Whether he will be the right manger ultimately I guess only time will tell. In order to win such a tough league you have to have a squad of top quality players. The Reds proved by coming so close last season that they do have some outstanding players, capable of winning major honours. However the recent injury crisis has served to highlight what many had feared, Liverpool don’t have the necessary strength in depth, especially when compared to the likes of Man United and Chelsea. It is frustrating because Liverpool do have a very similar squad to last season and on that evidence they can be genuine title contenders. But I always felt that it was absolutely necessary that the squad was improved over the summer in order to move forward. This was’nt achieved; whether due to a lack of funds or a lack of nous in the transfer market no one really knows. But the squad short in too many areas. Strikers are a prime example, Fernando Torres may be possibly the best striker in the world but others are needed to back him up and one really should have been signed in the summer. It is frustrating to see Peter Crouch, Robbie Keane and Craig Bellamy, three players who have worn the Red shirt in recent seasons, all performing well for their respective clubs. Whilst all departures had their reasons, surely at least one should still be sat on the bench at Anfield? Tetteh: “I think we have what it takes to be involved right up until the end once again this season. But then again, so do UTD and Chelsea, and City are also looking somewhat dangerous. Arsenal are threatening to be a force to be reckoned with as well. So although I believe we have what it takes to push our title challenge right up until the last couple of fixtures, I’m also convinced it’ll be one of the closest races in a very long time between more than just 2 teams. To win those kinds of races, in addition to the manager, the squad, the players, the spirit and the belief, you need a little bit of fortune, especially with injuries and the occasional close refereeing call that goes your way. I’m hopeful we’ll lift the title this year, but it’s far too early to be either overly optimistic or pessimistic. So I’ll get back to you in February. 0 Comments Published by KL Ocs Kid on at 3:43 PM. RAFA BENITEZ today urged Liverpool’s supporters to give Alberto Aquilani time to settle after the Italian made his first appearance in a Red shirt. Having had to wait since August 7 to see him in action, the sight of Aquilani taking a step closer to full fitness following ankle surgery will have come as a major boost in light of recent results. But as pleased as Benitez was to see his £20m man up and running after six months on the sidelines – his last appearance for Roma was on March 11 – he was also quick to sound a note of caution. Though many will hope Aquilani can come in and solve a number of problems, Benitez believes it would be unfair to expect too much too soon from the 25-year-old. "Always with a new player we talk about the problems they have settling down because the Premier League is very quick and it is more physical," said Benitez. "So for a new player who has been injured, like Alberto, it will be even more difficult. It is a question of keeping him training and when he is fit, we have to support him. "We will have to choose the right moments to put him on the pitch. But he is learning all the time and we are looking forward to playing him. "But our fans are very clever and they know sometimes that a player with quality needs that time to settle down. He will need some time to get used to us, too." Despite Benitez’s appeal for patience, it is inevitable that fans who are desperate for a lift following a wretched run of results will want to know when they will see Aquilani in the first team. It would be a major fillip if he was involved in the squad for the clash with Manchester United this Sunday but the Carling Cup tie at Arsenal next Wednesday is a more realistic target for him to dip his toe in the water. But it could be that Aquilani settles into the groove quicker than many expect, as Benitez says the Italian has been studying all aspects of the English game during his prolonged absence. 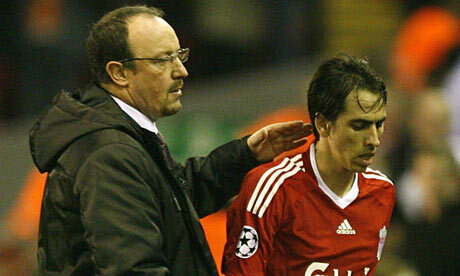 "Alberto is intelligent, he likes football and he has been watching our games," said Benitez. "He can see the pace is different here and the physical approach. "But there is a difference between what you see and how you play but when he gets out and feels the atmosphere here, it will be something special for him. "When will he play? It depends on how he is physically. "He has got very good levels of stamina but now he has to improve his sharpness. "To get match fitness, he needs to play games and what we have to do is analyse carefully which games is the best and how long he will play for." 0 Comments Published by KL Ocs Kid on at 3:39 PM. 0 Comments Published by KL Ocs Kid on at 11:35 AM. 0 Comments Published by KL Ocs Kid on at 11:33 AM.